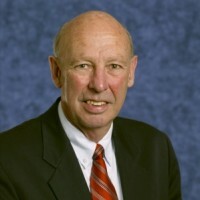 Howard Morley is an accomplished Real Estate professional with over 30 years experience. As the Managing Director of Auckland Property Management Ltd, Howard is an expert within the industry, displaying the wealth of experience and background that has made him a top professional in the industry. He has extensive real estate knowledge, a personable manner, and vast management skills. He is now working with the second and third generation of some of his clients. Howard is also a Registered Valuer, a Registered Property Manager, and a Registered Property Consultant. He has served as the National President of the Real Estate Institute of New Zealand from 2004 to 2006. Howard was an executive committee member of ICREA (International Consortium of Real Estate Agent) from 2008 to 2011 and was elected Vice Chairman for 2011, and in 2012 was elected Chairman of the organization. He was invited by the American National Association of Realtors (NAR) to become one of their five International Directors for 2013. NAR has over 1,100,000 members. In July of 2013, Howard was selected by the International Property Management Standards Coalition (IPMSC) as one of 19 real estate experts from 50 countries around the world, to be on the IPMSC across the property industry, a global measurement methodology. This project is to standardize building measurement worldwide. In November of 2014, the Standard for Commercial Buildings was released for general use.